M5673 1940s. glass wall light in metal frame...rewired. It’s an “entry” light..the apple green colour is fired within the glass. 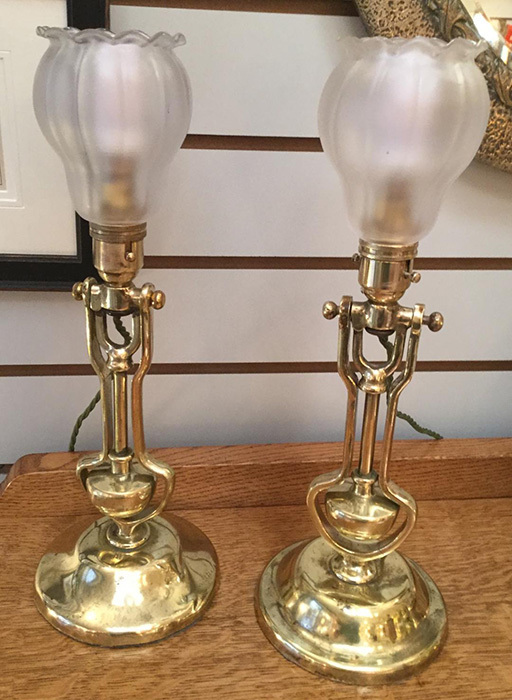 M5634 Pair of brass based Gimble lamps. 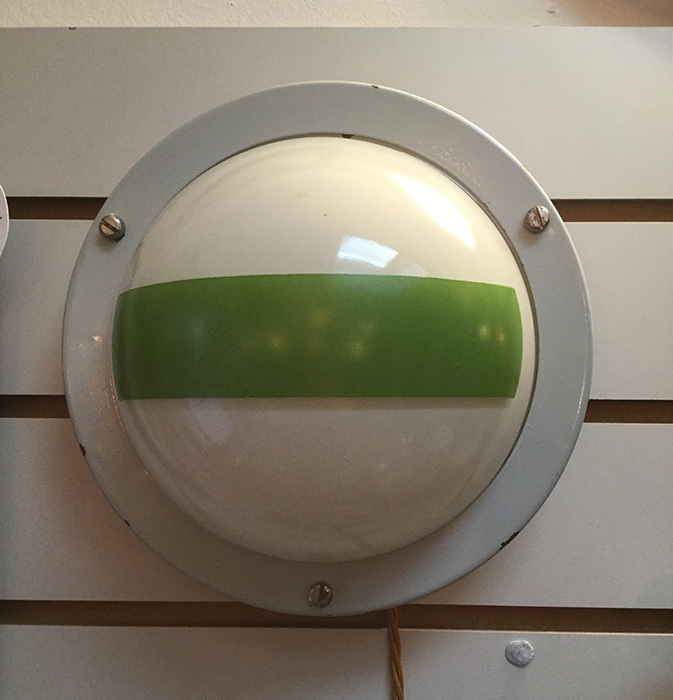 Admiralty Patented, showing with a choice of shades. 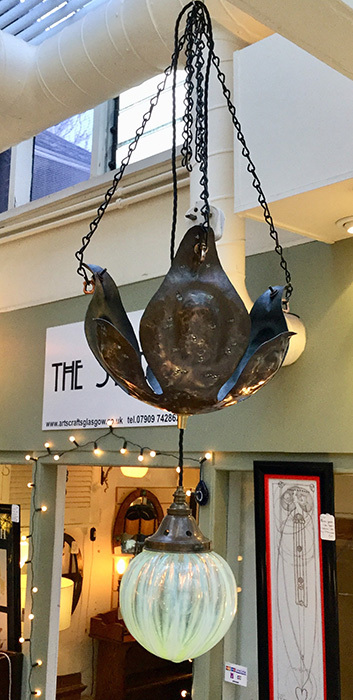 M5501 Unusual wrought iron standard lamp, fully stamped, Whalis, showing with a new hand made fringed shade. 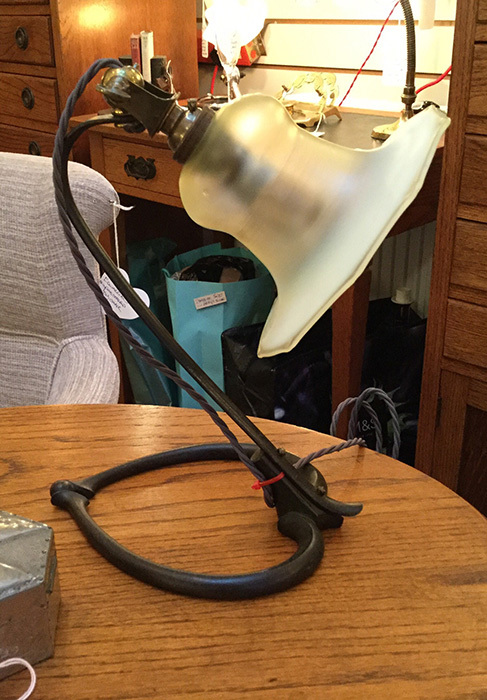 M5660 Iron based c neck lamp, Bensonesque showing with an original vaseline glass shade. 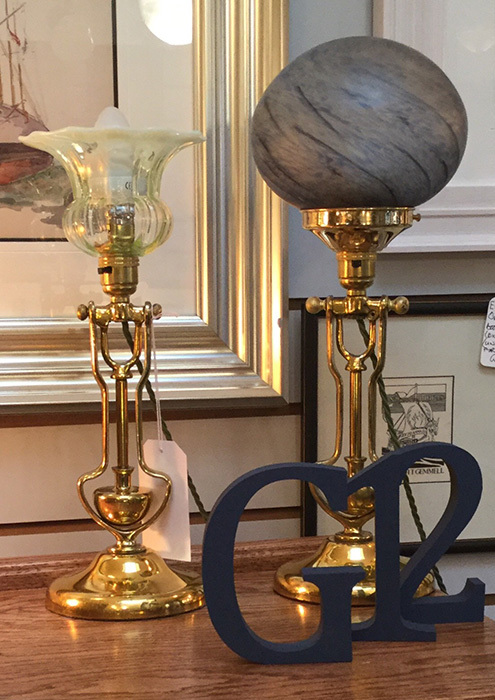 M5647 Larger than usual brass and marble desk lamp, showing with an original holophane shade. 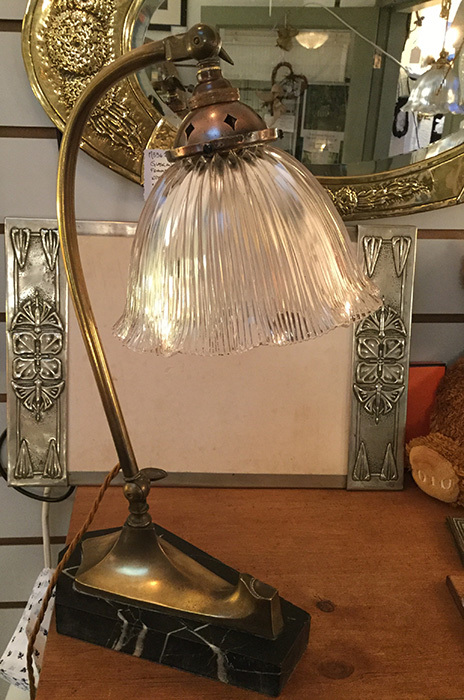 M5117 Brass bridge lamp with variant fringed shade. 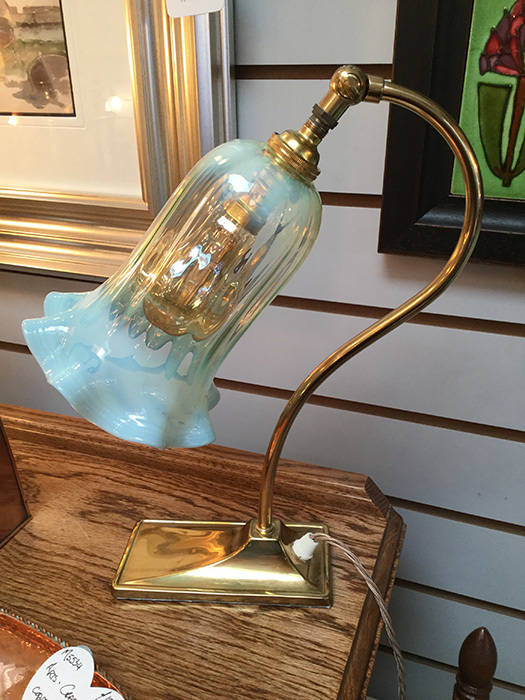 M5546 Brass sled based lamp showing with a ribbed, Vaseline shade. M5459 Beaten copper leaf with suspended, Vaseline globe. 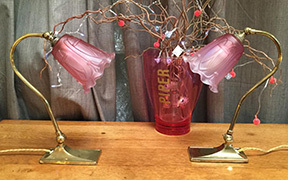 M5454 Tall copper and brass table lamp, showing with a large Vaseline shade. 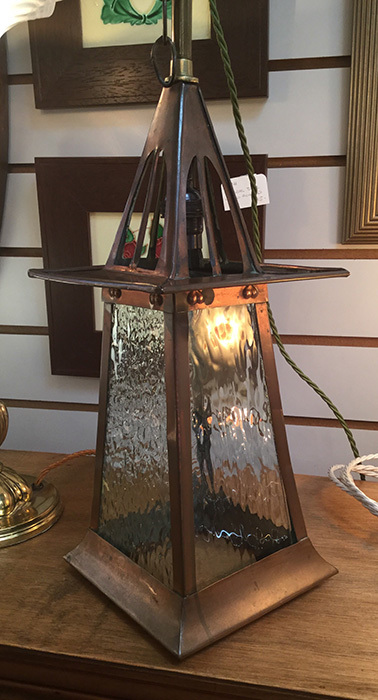 M5449 Oxidised copper Glasgow lantern with hammered glass...Height not including chain..14".